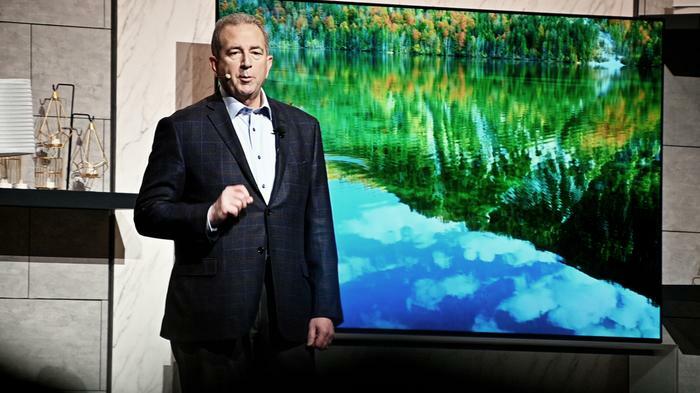 LG's CES press conference kicked off the world's largest consumer electronics tradeshow in style, showing off both their first 8K and the new "rollable" OLED R series. It's 8K! Beyond that, it also promises to unlock the full potential of LG's new 2nd gen a9 processor. 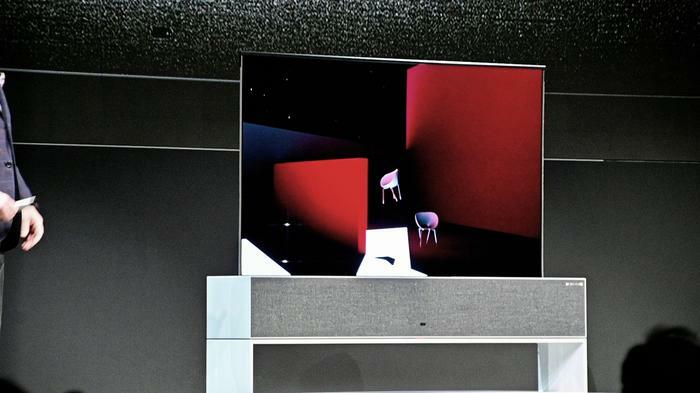 According to LG, "the new processor finely adjusts the tone mapping curve in accordance with ambient conditions to offer optimized screen brightness, leveraging its ability to understand how the human eye perceives images in different lighting. The processor uses the TV’s ambient light sensor to measure light levels, automatically adjusting brightness to compensate as needed." "The α9 Gen 2 AI can further refine HDR content by adjusting the brightness to transform even the darkest scenes into ones with incredible contrast, detail and depth of color, even in brightly-lit rooms. And by leveraging Dolby’s latest imaging innovation which intelligently adjusts Dolby Vision content, LG TVs deliver a compelling HDR experience under varying ambient light." 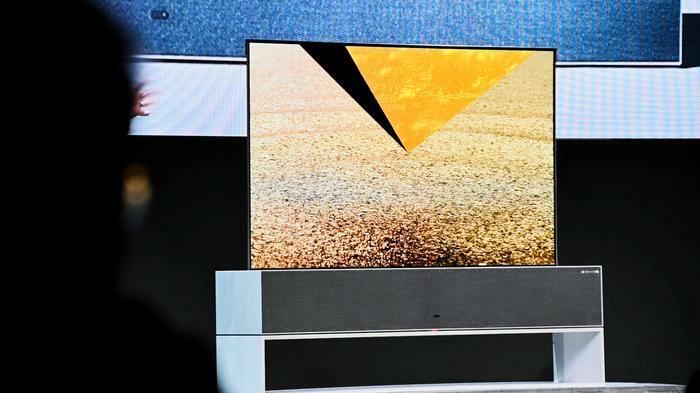 The new processor will also improve audio performance on the TV. LG say tat the the intelligent algorithms of the 2nd-gen α9 processor can up-mix two-channel audio to deliver convincing virtual 5.1 surround sound. How much will it cost and when can I buy it? No local pricing and availability for the LG Z9 OLED has been announced at this time. 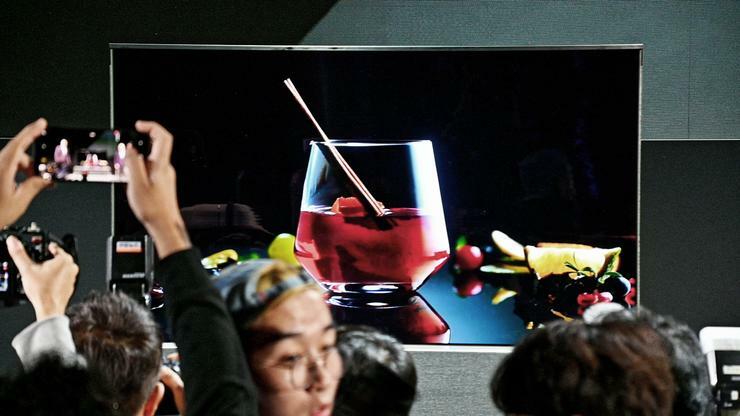 LG's first "rollable OLED" TV! It's a unique 65-inch variable form-factor OLED that "rolls" its screen up inside the base unit for when not in use. Alternatively, you can also choose to raise just the upper third of the display. LG call this Line View mode. It allows you to access the TV's Clock, Frame, Mood, Music and Home Dashboard. without fully unveiling the unit. The brushed aluminum base station for the OLED R also houses a 4.2-channel, 100W front-firing Dolby Atmos audio system. No word yet on pricing for the OLED R but we expect it to be just as - if not more - pricey than LG's current "Wallpaper" W OLED.